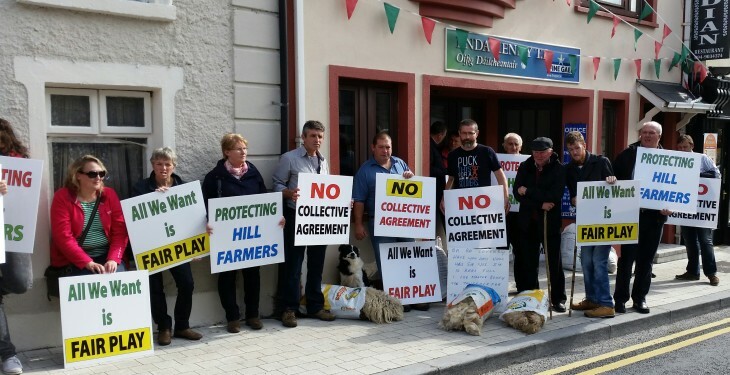 The Concerned Hill Farmers Action Group is set continuing its protest outside the Taoiseach’s Enda Kenny Constituency Office in Castlebar, despite recent efforts by the Minister for Agriculture, Food and the Marine Simon Coveney to resolve the commonage issue. The Minister announced yesterday that a number of important decisions had been reached in relation to commonages and said that a lot of progress has been made and he hoped the a forthcoming series of meetings will help to reassure Commonage farmers and provide the clarity that farmers have been seeking. 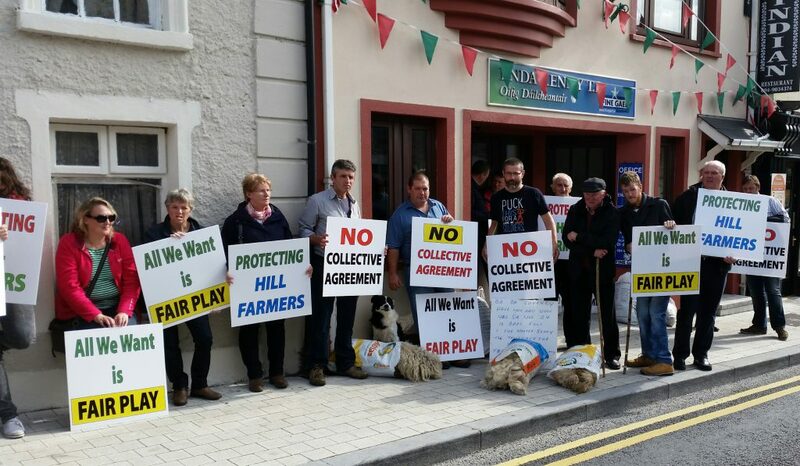 However the Concerned Hill Farmers Action Group has said that although the Ministers announcement is a welcome step in the right direction, it fails to remove collective agreements as a requirement for priority access to the GLAS scheme and is therefore a big disappointment. Speaking on behalf of the group Brendan Joyce said: “That’s the key issue for us and it one of the key reasons behind the formation of our group. We have no alternative to continue our protest. “We have spoken to advisers and they are saying that it will pose an absolute nightmare for them in terms of implementation in time for farmers to apply for GLAS. “The announcement by the minister was definitely a step in the right direction. There has also been much more engagement in recent weeks on the issue which is very encouraging. However, the key issue for us is collective agreements and that has not been resolved.